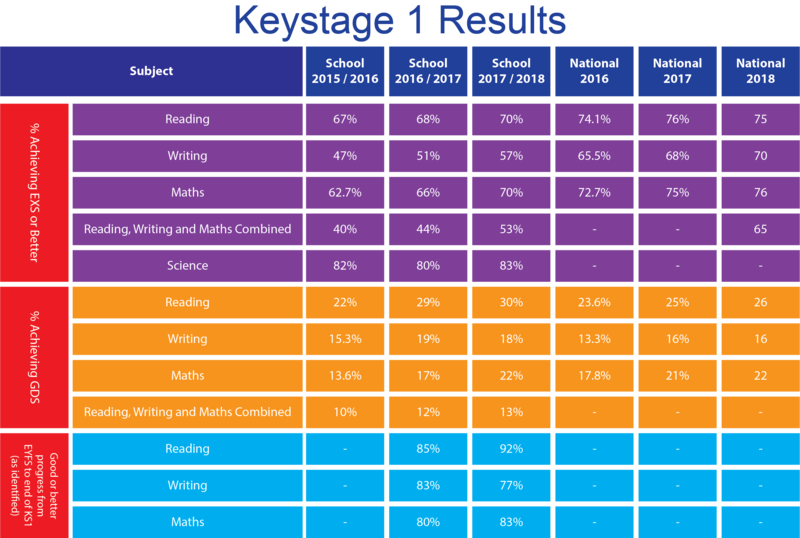 School league tables showing the performance of 11-year-olds at primary schools across the country are published by the Department for Education. Pupils are assessed in reading, writing, and maths, with at least 65 percent of pupils required to meet the expected standard (previously Level 4) in the 3 Rs. In separate measures published, a school will also be considered to be above the floor standard if pupils achieve sufficient progress scores in all three subjects, namely at least -5 in English reading, -5 in mathematics and -7 in English writing.